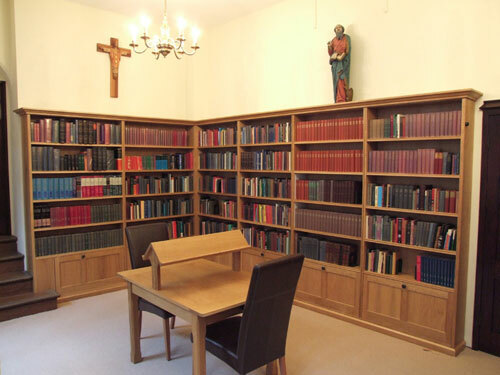 Jameson Joinery has worked on a wide range of Ecclesiastical projects throughout England over the past 25 years. Please see the following examples of our work. 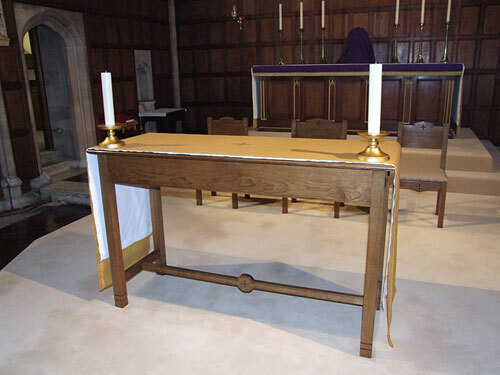 Ecclesiastical, Jameson Joinery is a ecclesiastical joinery manufacturer company for corporate or private clients in the UK Sussex including London, Guildford and all the other surrounding areas. Part of a 237 foot run of Oak Shelving with understorage constructed to rehouse a Monastic library. This photo also shows a reading desk. 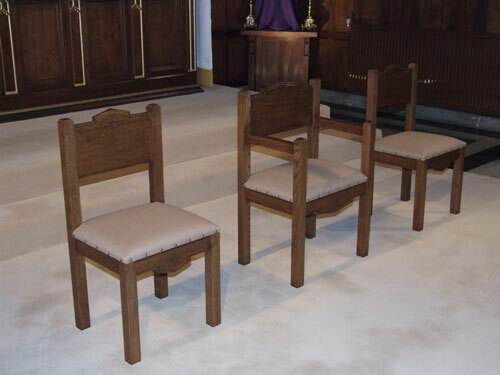 A series of Altar charis with carved backs and front rails. 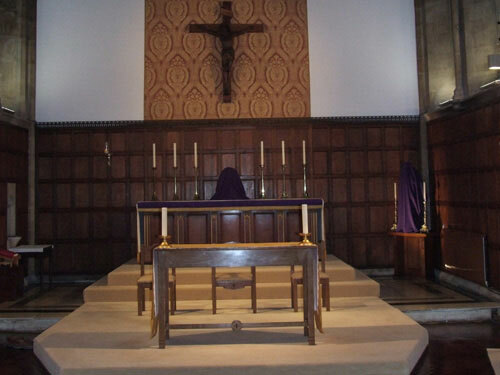 A new Oak Alter designed to match the chairs shown behind. 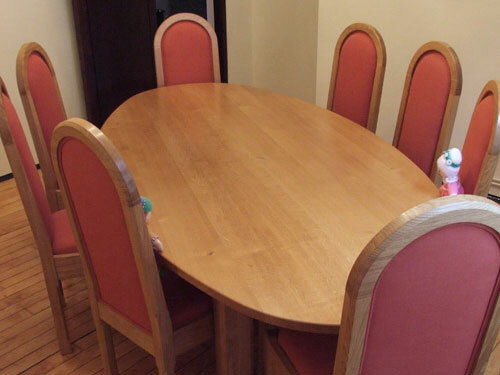 This eliptical table and set of ten Roman back chairs was made for a conference room. 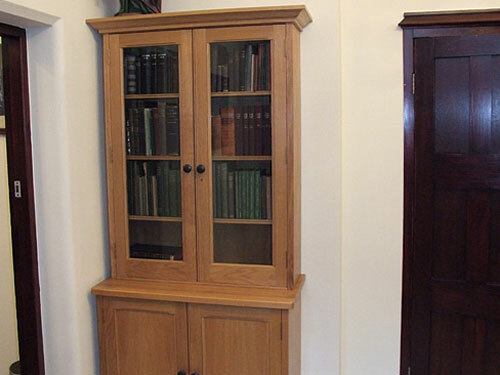 This secure bookcase was commissioned to house very rare and valuable religious books and documents. 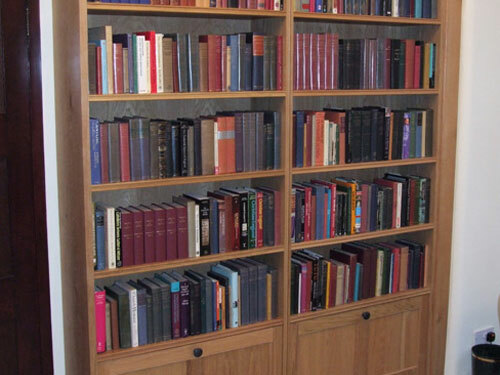 The radiused edges of the shelves in this bookcase are designed to minimise any damage to the underside of the books. 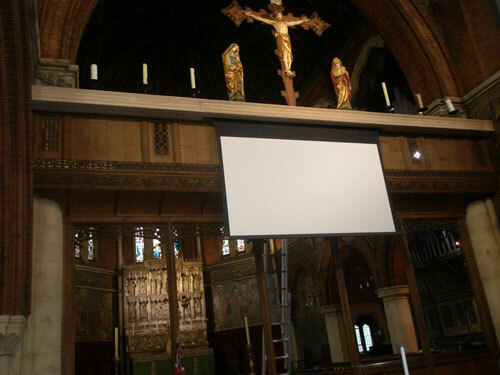 This shows an Oak housing fitted to the rood screen of a Victorian Church, from which a remotely operated screen is lowered during the service. The internal workings of the very rare and recently restored organ are then projected onto the screen to help the congregation concentrate on the service!